This CFL lighting kit is available from a reputed brand alfa, which is known for it’s circuits in applications of inverter like products. We get a good stable circuit from them. The below kit is for lighting a PL of 9Watt, 11Watt or a CFL of upto 20 watt (of course PF=0.50 CFL’s). Earlier we saw, how can we make 12volt 18 watt by a simple circuit diagram link HERE. This circuit is almost the same with modifications in the output side as we can see a comparably larger capacitor used in series with transformer output for coupling purpose. This gives us the ability to run PL (starter based) lamps too directly with this circuit. If we look at the primary side circuit , we can see an inductor coil is used to filter AC pulses from +ve line. There are charging line provided also, for which we need to add a transformer, and the complete setup ready. This one costs 120 rupees, but we can make own at just 50 rupees by the help of the circuit in the previous topic, but if we need quality, and reliability, then we need to use this one for better results. Comments on this article before 07-12-2011, here jump to recent comments . sorry, but this is just the commercial product of the circuit I shared earlier, since talking about same circuit again is foolishness, I gave link to previous article and did a breif comparison here among these two products. i want to start a cfl industry . October 22nd, 2011 at 3:42 pmWell, I’m not into this business. plz tell me, the capacitor specification which is use series with transformer output for lighting a 20w cfl. November 15th, 2011 at 5:38 am1mfd (105) 400V nopolar. 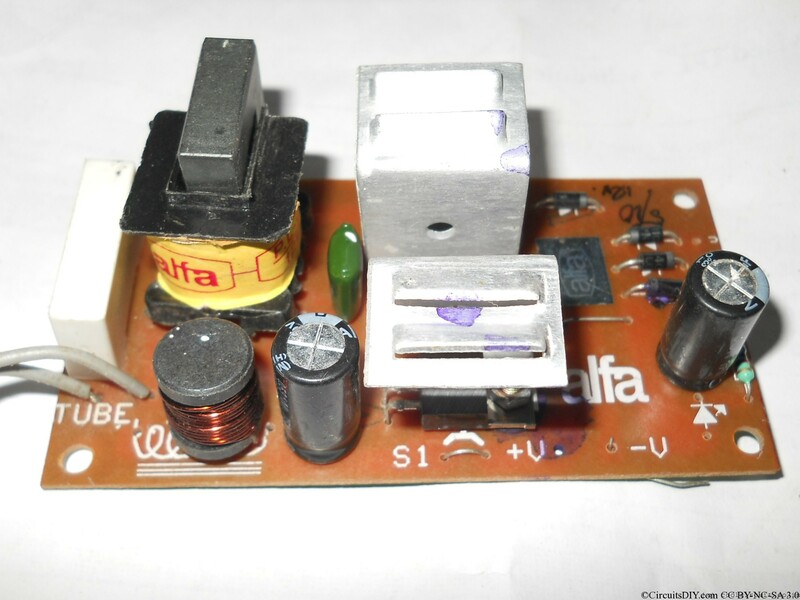 my alfa cfl kit transformer primary and secondary both side 4 pin…and secondary side middle two pin is connected.so in this case how to connect the capacitor? November 15th, 2011 at 12:14 pmCan you send me an image? HPF= High power factor, this is for indicating the power ratings of CFL. i brought a 11 w crompton grips cfl light,but it is not lighting by the kit(12v ,11w PL).why it is not lighting? and what company cfl (w) i use for bater operaion? November 23rd, 2011 at 9:14 amThe cheap 25-30Rs ones work best in this application. >0.85 cfl light is applicable in this circuit? November 23rd, 2011 at 9:14 amMore than 0.55PF is not compatible, and thus >0.85 will not work. I guess I’ve already posted one 6V-9W circuit, but that’s a flyback one and not push pull. You can see this at this link. You need a DC-DC inverter for that. Because DC inverters are not dependent on power factor as much as AC inverters does. You need a 6V-11W CFL inverter to do that. Pls,mr.anup can u mail me the circuit,how we get 11watt output fm 12v dc supply…pls expain hw it work..
Is the primary of ferrite core transformer center-tapped since i’m seeing an unsheilded drum core inductor at the bottom left of the circuit board? Yes it is center tapped. 1. On what switching design is this converter circuit based? 2. What is the output waveform of this converter circuit? 4. If we pass a low voltage AC to the rectifier points, will the inverter become cut off and charge the battery? (in other words is the circuit fully automatic such that when the power runs out the tube glows instantly)?